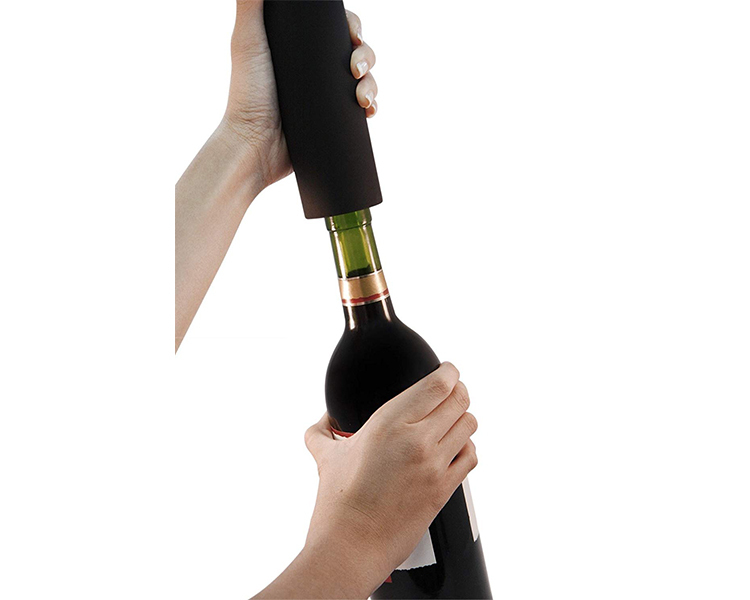 As seen in restaurants, the Ozeri Pro makes opening wine bottles easy and entertaining. 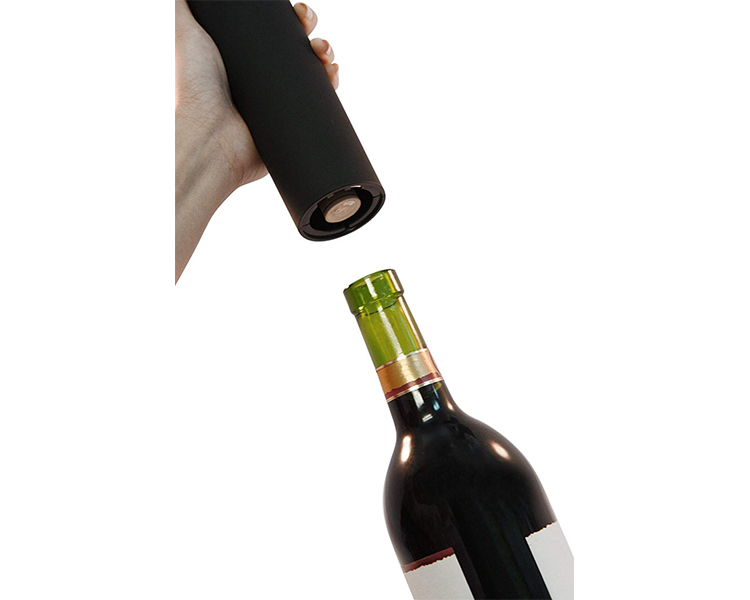 New improved 2nd generation battery opens up to 40 wine bottles on a single charge. Includes an elegant recharging base, compact foil cutter and a bonus pourer and stopper. 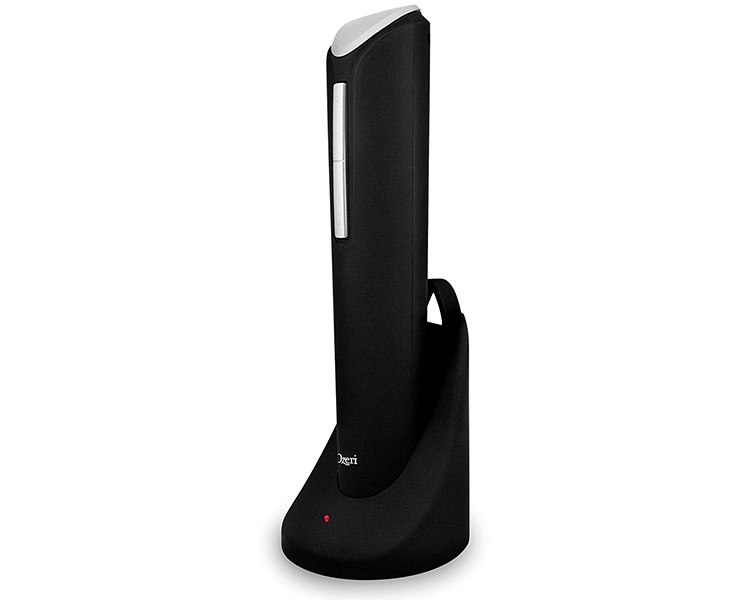 The Ozeri Pro Electric Wine Opener in Rubberized Black makes opening wine bottles easy while entertaining your guests at the same time. Designed for home and restaurant use, its latest generation battery now opens up to 40 wine bottles with the gentle push of a button, all on a single charge. 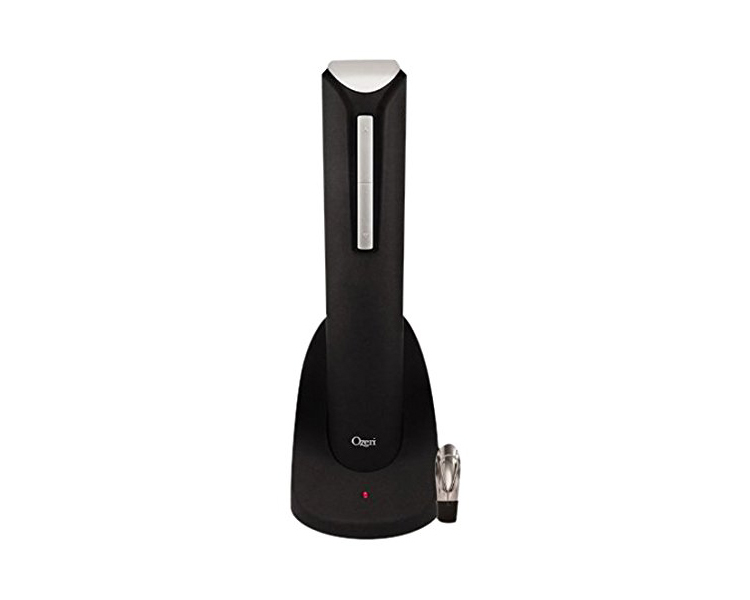 The Ozeri Pro Electric Wine Opener is completely cordless and includes an elegant recharging base with an LED charging indicator. 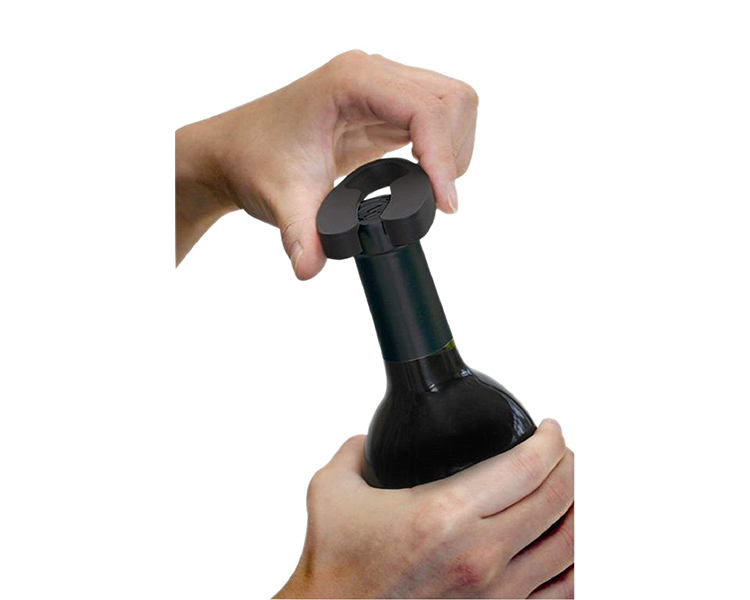 The Pro also ships with a free always handy foil cutter to remove wine seals and a bonus wine pourer and stopper. 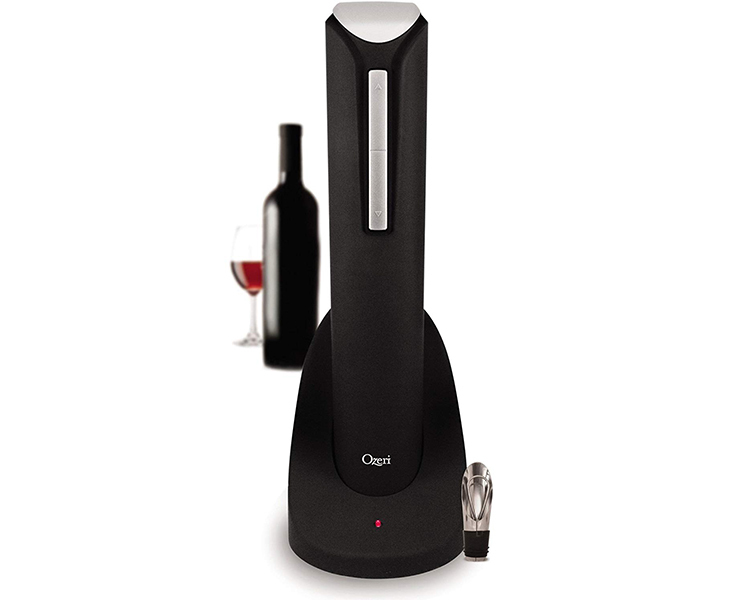 The Ozeri Pro Electric Wine Opener opens both natural and synthetic corks. It also boasts a new ultra light-weight design, a faster motor and an ergonomic rubberized soft grip for effortless handling. Use it at home or take it with you to impress your hosts and guests before the first sip.